New Delhi based E commerce online store that sell over 30,000 products of over 800 diverse categories was launched 7 years ago. Successful in alluring more than 20 million customers this web portal is being admired for its high quality and wide variety. Snapdeal is an India’s first online portal to sell automobile online. Aims to launch new gadget and products every year this online store offers number of products to its customers that includes mobiles and tablets, men’s and women fashion, computer, electronic, home and kitchen, kids and many more. In order to make this store easy to use for its customers this eCommerce platform is not only available in English its default language but also in other two formal languages that are Tamil and Hindi. It’s secure and comfortable payment options and number of money saving deals make this online platform the first customer choice. Downloading its mobile app will let you know about its ongoing deals and discounts and gives you a chance to save your money. Now buy Water purifiers like RO, UV, RO+UV, RO+UV+UF, UF/Gravity, Accessories and water dispensers just starting from Rs. 3,999. Offer includes Pureit, Kent, Eureka Forbes, Tata Swach, Whirlpool and more displayed on the landing page. Also get extra 10% instant discount using HDFC Bank Credit Card. Don't miss this deal. Visit the store and get one free when you buy one. Offer includes mattresses, Bed Linen, Mats, Blankets, Quilts, and many more shown on the offer page. Choose from the brands like Ark. Canon, HP, Bellz, Kamal, and many more. Hurry to save the money. To provide a compact solution for drying clothes with the durable material we present Tnt Cloth Dryer Stand from our online store at Snapdeal. Get 44% off on Tnt premium quality cloth drying stand/rack. It can carry up to 15 kg load and has 15 rails of different sizes. Hurry and place your order today. Buy now online and get up to 60% off when you order personal care, nutrition, and more. Discount may vary from product to product. For best deals and offers stay tuned with Snapdeal.com. Don’t miss out. Buy men’s distressed and faded jeans online and get up to 70% discount. Checkout on brands like- Mufti, Levi’s, Killer, Pepe jeans, Flying machine, Duke, Monty Carlo and much more to explore. Choose by your style and select from the categories- slim, regular fit, skinny, relaxed and so on. Discounts may vary from product to product. Discover more offers and deals on the promo page and get exciting discounts. Having a small garden or a set of plants at home helps to make your space green and refreshing. Buy air purifying plants starting from Rs.199 and save the money. You can select as per your requirement and place the order. Offer is valid for a limited period. Visit the store and get women's fashion sale under Rs.999. Choose from the categories of Sarees, dresses, kurtis, sunglasses, watches, shawls, and many more displayed on the promo page. Don't miss this deal. Visit the store and avail flat 20% on all products. Use the given coupon code at the time of checkout. Limited period offer. Hurry to avail this offer to save the money. Grab the best offers! Get up to 70% off on best selling products. To avail extra 10% off use the given coupon code. Maximum discount of Rs.50 can be availed. Limited period offer. Know everything : Snapdeal is one of India’s leading online shopping destinations that deals in more than 35 million products across more than 800 categories. Based in Delhi, this platform was founded in 2010 by Rohit Bansal and KunalBahl to bring local, national and international brands together by roping in more than 300000 sellers. You can look forward to one of the largest assortment of products that are delivered to more than 6000 Indian cities and towns. The store has more than 125000 retailers and brands on board that allow buyers to get exactly what they want. Apart from its massive collection, daily deals, mobile app, flexible policies, etc. make it one of the best online retail stores. Several awards and achievements over the years have helped this online brand to feature amongst the top few in the country. You can shop for brands like Apple, Samsung, Canon, Nikon, Lakme, Sony, Lenovo, Himalaya, Nokia, Microsoft, etc. to name a few. Several filters add convenience to your shopping experience where you can shop according to your budget, brand preference and other personal choices. Mobiles & Tablets, Electronics, Computers & Gaming, Home & Kitchen, Men’s Fashion, Women’s Fashion, Kid’s Toys & Fashion, Beauty, Health & Daily Needs, Sports, Fitness & Outdoor, Motors & Accessories, Refurbished Products, Books, Media & Music are some popular product categories. First you need to get coupons either directly on the site or from coupon aggregators like Savio Plus. Number of coupons shall be displayed and you need to pick the one that is most useful for your shopping. Look for electronics coupons if you are planning to invest in some electronic product. Click the offer to activate it. 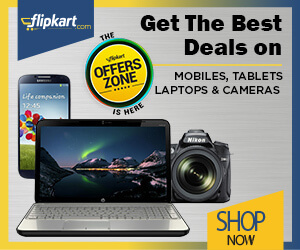 You will now be on the Snapdeal store where you can browse and add what you want to your cart. After you have finished your shopping, you will have to pay to complete the process. The coupon shall be applied at during check out and you will be required to pay the discounted amount through your preferred mode of payment. This is perhaps the best part of shopping from this mega store. You can look forward to special deals and offers no matter what you buy. These help you save even while you bring your favorite product home. The site has a unique ‘Deals of the Day’ section where you can get new offers each day on a wide variety of products. The ‘End of Season Sale’ also lets you shop at low prices. You can also come across random weekend deals in various categories. If you download the app, you become eligible for several ‘App Only’ exclusive offers, created for app users alone. HDFC users can get an additional 5% discount on credit cards and earn 10X reward points as well. Look for Snapdeal credit card offer especially HSBC debit and credit cards that can get you an instant 10% discount. Other bank cards like ICICI, Axis, etc. also gives you discounts up to 15%. You can get up to 55% off on personal care and grooming products, up to 50% off on pet supplies, up to 70% on electronics. The ‘Unbox Happiness’ annual event is another way you can save thousands by buying stuff at amazingly low prices across all product categories. The app download also gives you special offers. By signing up for the newsletter, you can get unique offers right in your inbox. By paying through the Freecharge wallet, you can earn cashbacks on several items. Payment methods – Online shopping is all about convenience and especially when it comes to payments. When you shop at this mega store, you can choose to pay through different modes like cash on delivery, net banking, debit or credit cards, EMIs as well as digital wallets even if you use Snapdeal coupons. Easy replacement – If you are unsatisfied with what you have received or it is damaged or defective, you can easily get it replaced. The company shall initiate the replacement process within 2 days of receiving back its order. Hassle free returns – Like replacements, you can return whatever you buy from here in an easy and simple manner within 7 days of your delivery. You can expect a refund to your account within 10-15 working days. Safe and secure payment – When you pay online, you can do in the safest and secure manner through their protected payment gateway. This prevents any vital information from being leaked. 100% payment protection – Every online buyer receives 100% protection for all online transactions. Free app – You can download the Snapdeal app in less than 30 seconds on your smart device and shop while you are on the go. This is one of the largest online market places where you can get anything and everything. All you need to do is log in and order for what you want with a few simple clicks. Vast availability and rock bottom prices make also help you save no matter what you buy.